Wedding location next to Munich. 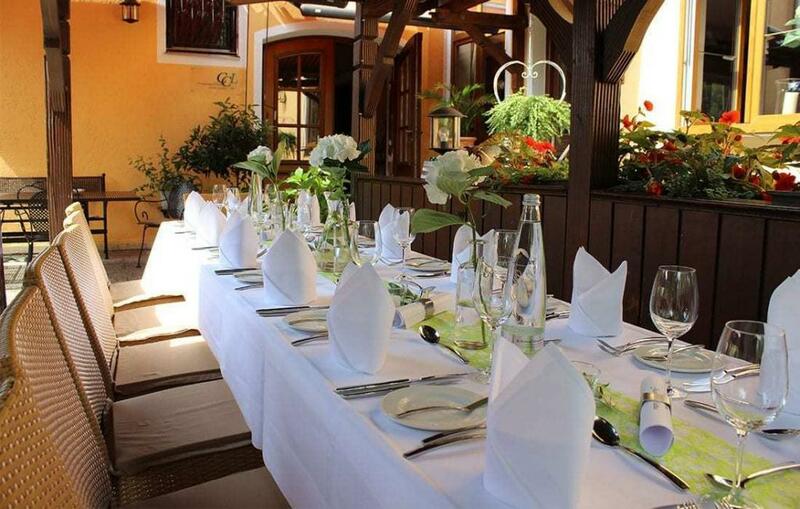 Weddings have been taking place in our wedding location near Munich for 25 years. Our long experience and the many happy bridal couples speak for themselves. 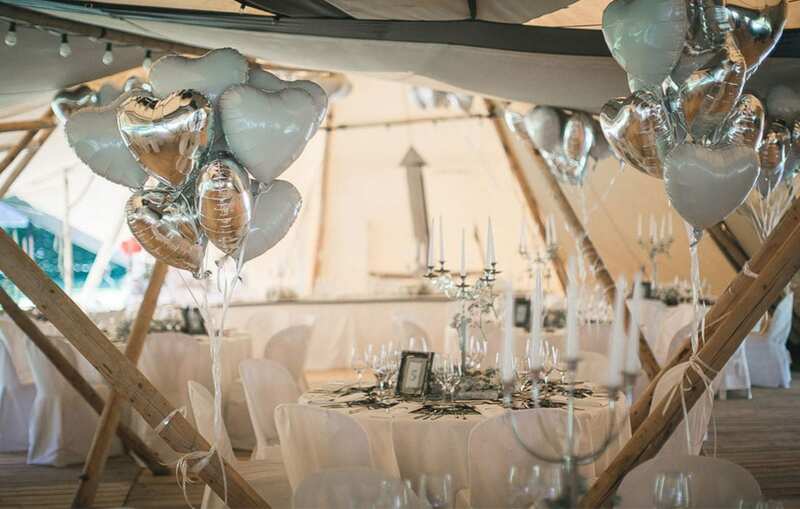 With great attention to detail, we take care of your special day. 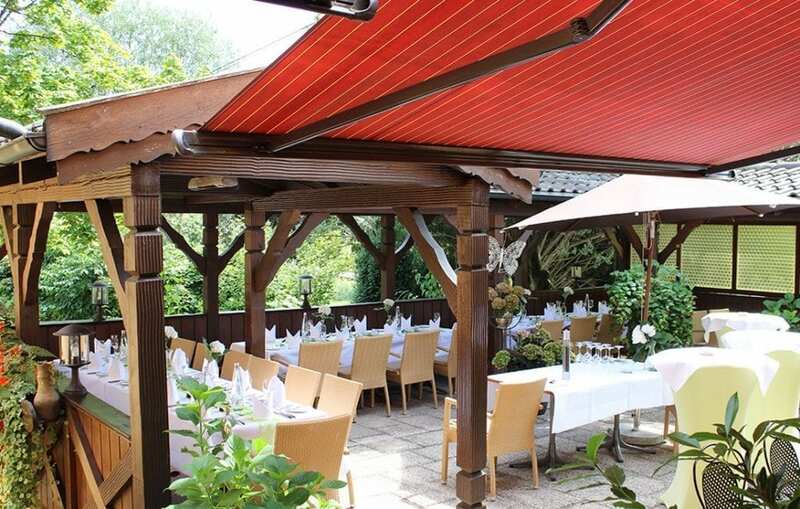 Our wedding location near Munich is characterized by its first-class cuisine. 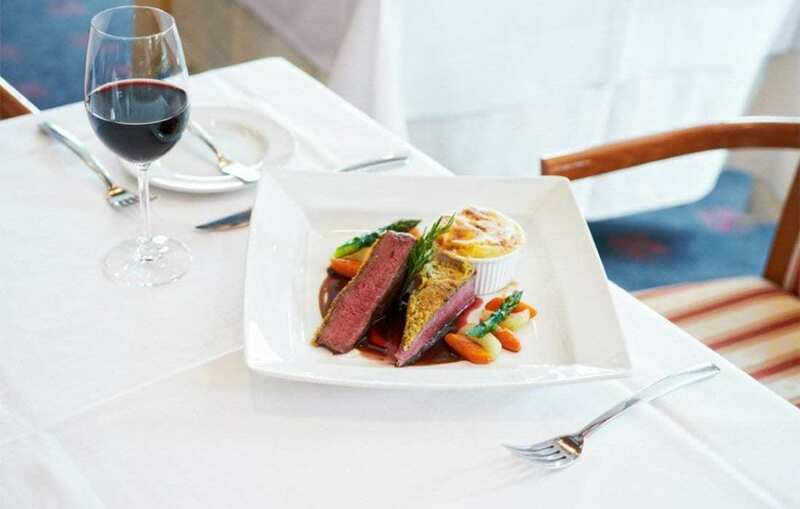 The chef personally stands with our restaurant near Erding for freshness and quality, because he is a renowned chef and passionate wine connoisseur. 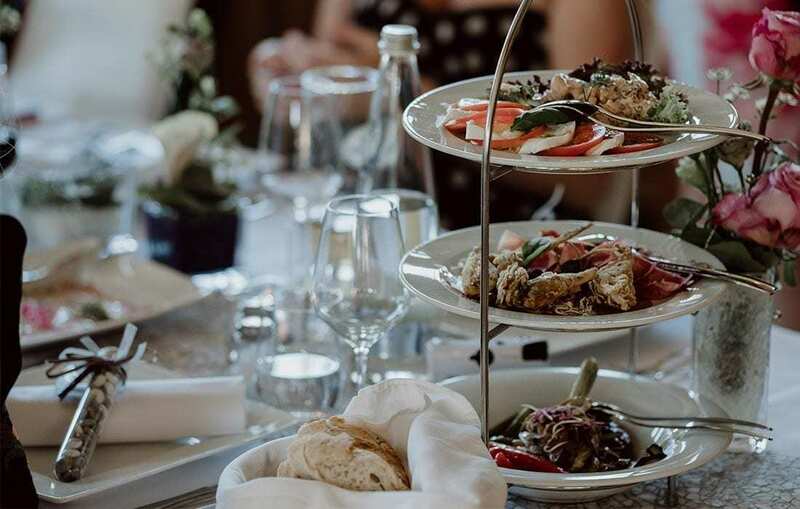 Together with you we will create your culinary highlight, a wedding menu (or buffet) according to your wishes and ideas. 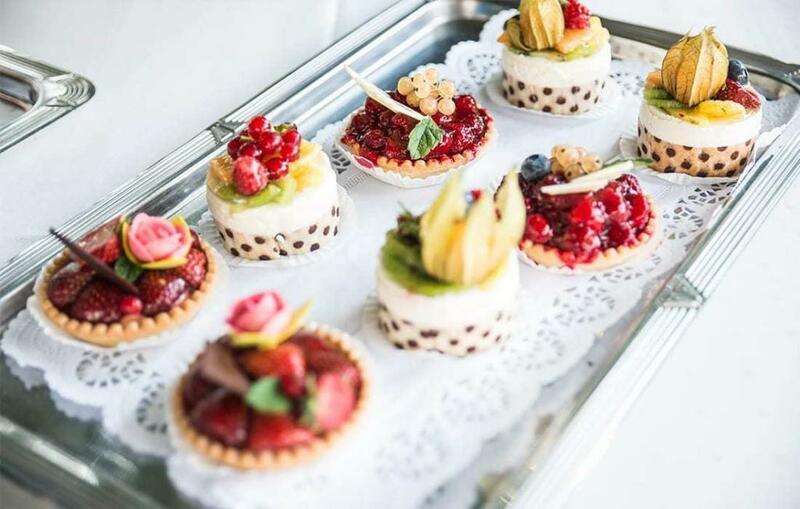 Especially popular is our Hallnberger Desserbuffet with diverse sweet creations of the house, gladly also with Live Cooking. 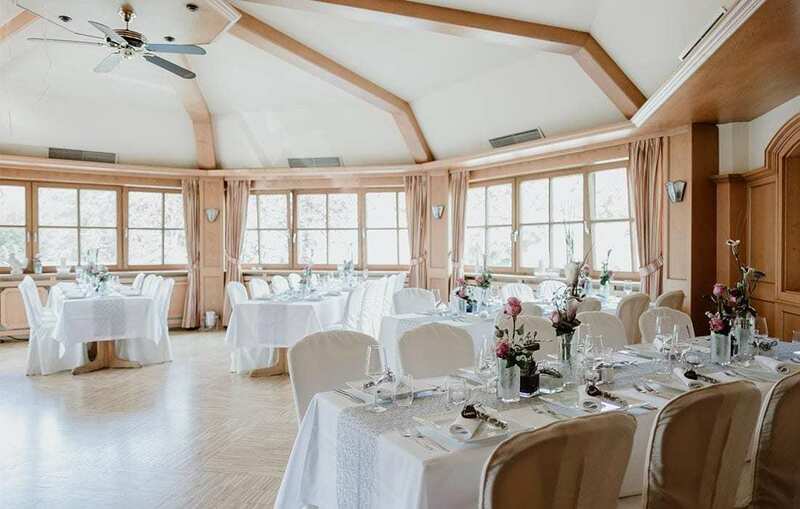 Our wedding hall is suitable for weddings of 20 to 140 people. Of course we also support you with the decoration. The rooms are designed according to your wishes – whether modern, rustic or classic, elegant. In addition, we are your competent partner for all questions about your wedding at Erding. Whether in the search for a suitable church, the registry office, a DJ or the band: We know each other in the region around our wedding location near Munich! The Landhotel Hallnberg stands for one: a green oasis of delights. Marry in a dreamy garden and promise among eternal love and loyalty among fruit trees. 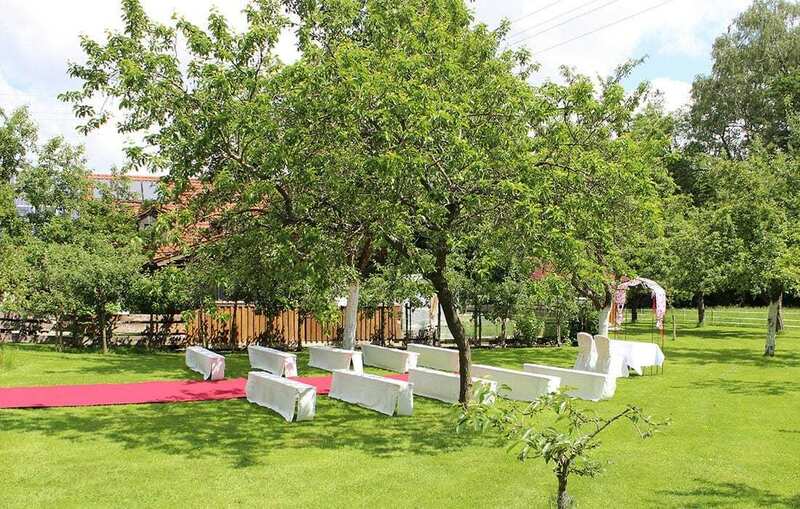 Our wedding location near Munich is the ideal place for a romantic wedding in the open air! The catering team accompanies each year about 30 events outside the home. 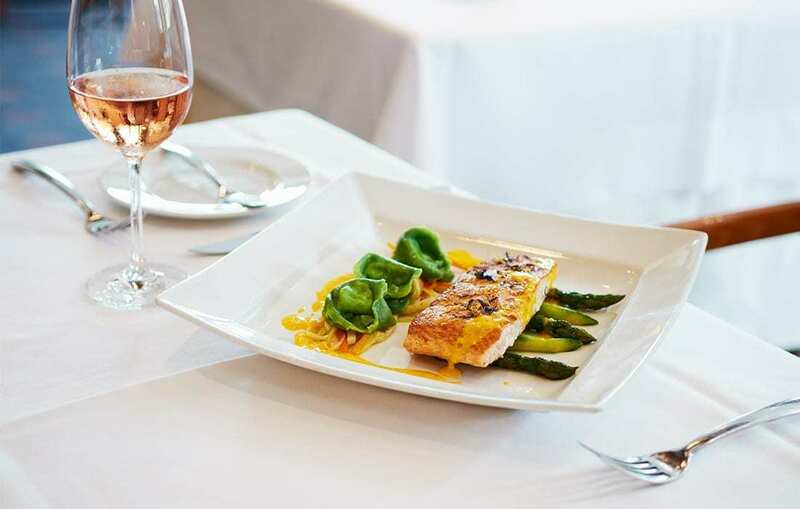 Whether family celebrations or business events, our catering team ensures unforgettable events. 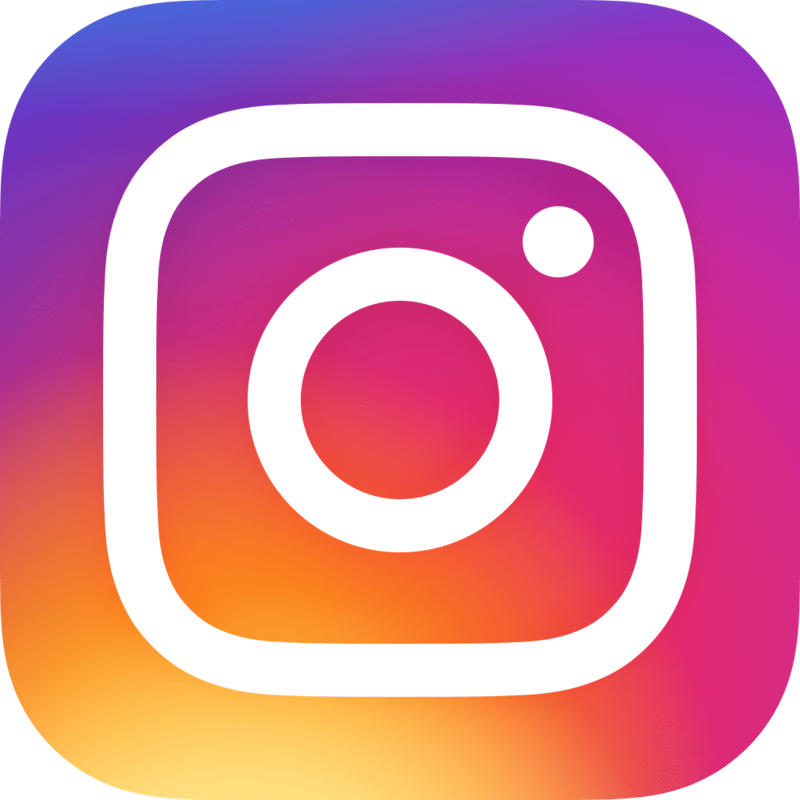 With years of experience we plan and lead every event to success. On appointment we are happy to provide you with a guided tour through our hotel & a non-binding counselling appointment. Just send us your contact information via e-mail or telephone and make an appointment. We look forward to welcome you in the Landhotel Hallnberg. 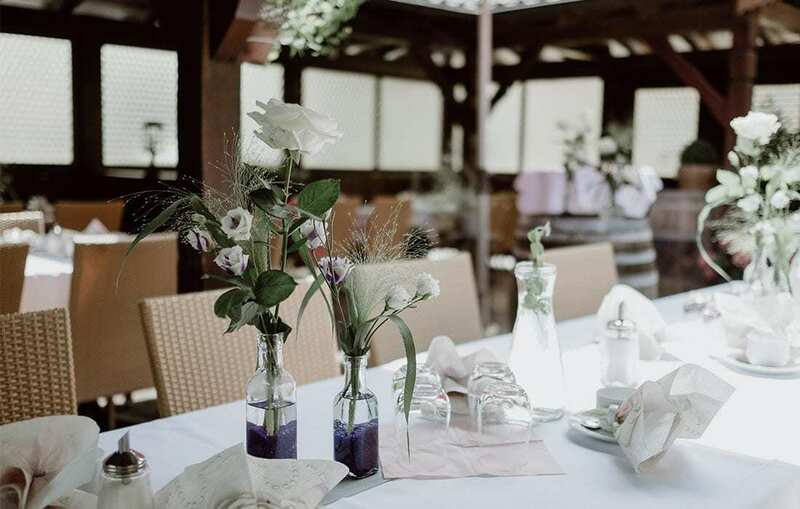 Not only the beautiful foothills of the Alps make for your wedding at Erding a picturesque backdrop, our country hotel itself convinces with a stylish and always cozy atmosphere. 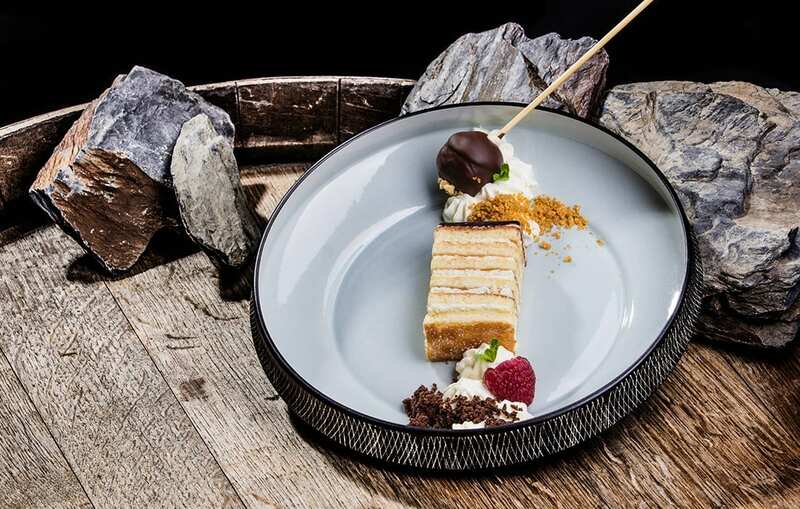 We combine the best of tradition and contemporary design to a successful mix, which is partly responsible for the popularity of our wedding location near Munich. Do you have relatives and friends coming from far away? Even then, our wedding location near Munich is ideal. 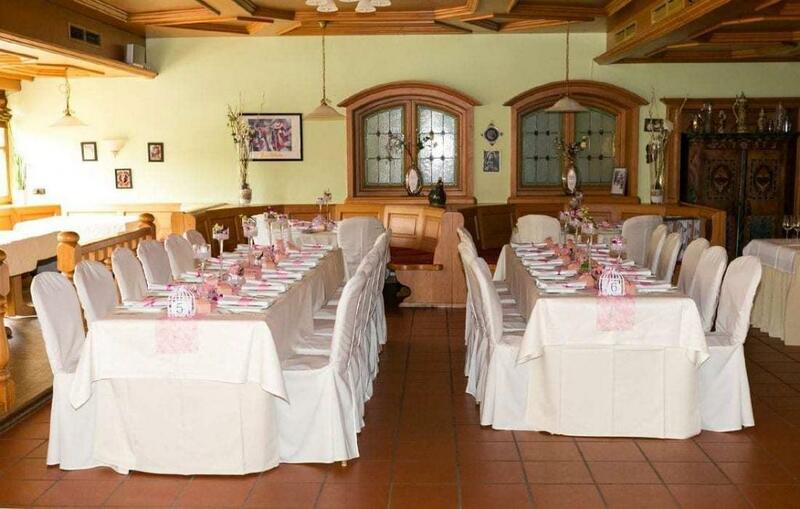 Our country hotel is located only 20 minutes from Munich Airport and offers enough space for guests at their wedding in Erding with a total of 30 rooms and 60 beds. We know what our guests are looking for and can support you with numerous services at your wedding in Erding. Discuss your wishes with us and we will inform you completely. 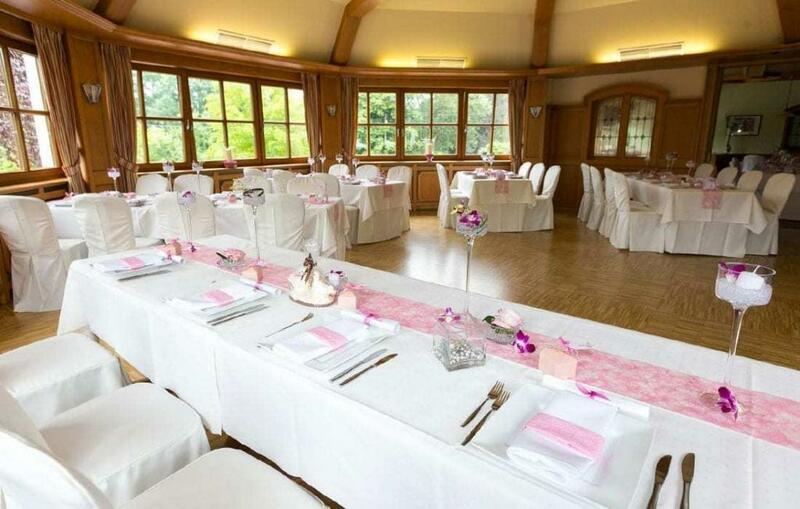 Not only as a wedding location near Munich is the Landhotel Hallnberg your reliable contact point. Our premises are also suitable for many other events. Whether as Hotel Messe München, in which you can recover from exciting trade fair days, as a location for your family celebration or as a conference hotel near Munich, where you can book up to 6 meeting rooms: As a hotel in Erding we are your contact for events of all kinds.